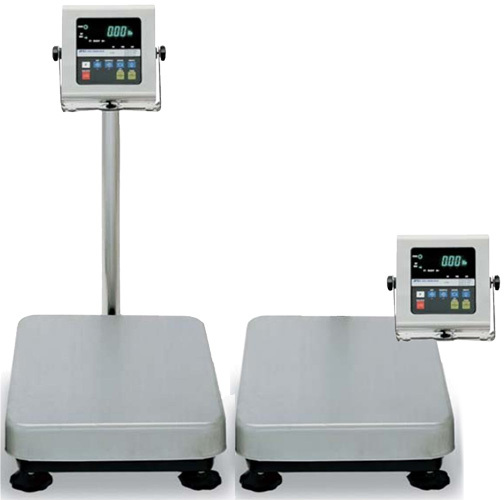 The AND Weighing HW-WP Series industrial platform scales provide many sophisticated features in a durable package. These stainless steel scales are waterproof and dustproof, with up to 1/12,000 high resolution, IP5/NEMA 4 rating, standard RS232 and comparator mode. Capacities from 20 to 500 lb.